Former Honolulu Mayor Mufi Hannemann says he and running mate Les Chang will give voters another option in governor's race. 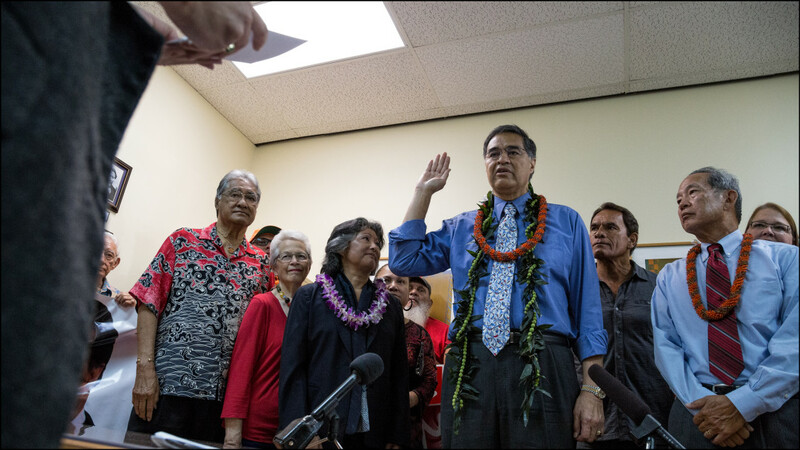 Gubernatorial candidate Mufi Hannemann takes the loyalty oath at the Office of Elections in Pearl City while lieutenant governor candidate Les Chang, on right, looks on. Former Gov. Linda Lingle struggled to live down the embarrassment of watching the interisland ferry flounder under her watch. The ferry, which was operated from 2007 to 2009, lacked broad public support and legal standing, resulting in protests on Maui and Kauai, legal battles over the lack of an environmental study as was required by law, and ultimately bankruptcy for the company that operated it. But Hannemann said he will use Honolulu’s $5.26 billion rail project as his playbook to get the boat up and running again. Hannemann is largely credited for making rail a reality, although the city’s rush to get started did lead to some high-profile problems that delayed construction and cost millions of dollars. “The process that we did rail by is the same process that I believe can be implemented for the Superferry,” Hannemann said. He added that it will require “patience” to make sure all the environmental paperwork is fully completed before moving forward. Whether Hannemann’s vision becomes reality will depend on if he can snag enough votes in November’s general election to become Hawaii’s first independent party governor. Normally he might not stand a chance in a state that leans left and values its incumbents. But there are a number of factors at play that give him more than an outside shot. Gov. Neil Abercrombie is facing a stiffer challenge than expected from state Sen. David Ige in the Democratic primary. Republican Duke Aiona is also expected to be on the ballot in November. That could bring out more conservative voters, some of whom might cast their ballots for Hannemann who, like Aiona, is a social conservative when it comes to issues like gay marriage. Hannemann never fully embraced the Democratic Party of Hawaii, and he could never get past the primary in previous partisan runs for higher office. The thinking goes that he has a chance in a general election, where just 35 percent of the vote could win the governorship. But even as Hannemann does his best to build his platform, he’s still dogged by his record in recent elections. Hannemann painted himself as a nonpartisan politician Tuesday, repeatedly highlighting his experience as mayor. He also downplayed any inkling that partisan politics would hinder his ability to govern from the fifth floor of the Capitol. This approach, he said, has already put $100,000 into his campaign coffers, though that’s a far cry from the several million dollars Abercrombie has in his war chest. 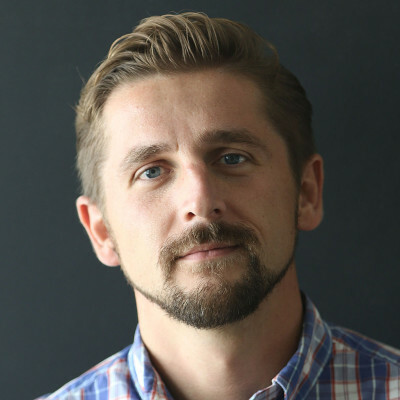 It will also result in what Hannemann described as upcoming endorsements from highly recognizable union and business interests. On that thread, Hannemann vowed to work closely with the state’s four counties, noting his close ties to leadership already in Honolulu Hale. Both Mayor Kirk Caldwell and Honolulu City Council Chair Ernie Martin were high-ranking members of his administration. Hannemann’s running mate is also a former cabinet member. Chang, who had little to say during Tuesday’s press conference, was Hannemann’s director of parks and recreation from 2004 to 2010. He also served in the Air Force for more than 30 years, something Hannemann repeated during his remarks to the press. Hannemann pumped up Chang’s military credentials while at the same time saying how important the armed services and veterans are to Hawaii. It was a not-so-subtle pitch for the military vote, again something that could sway the election in Hannemann’s favor. 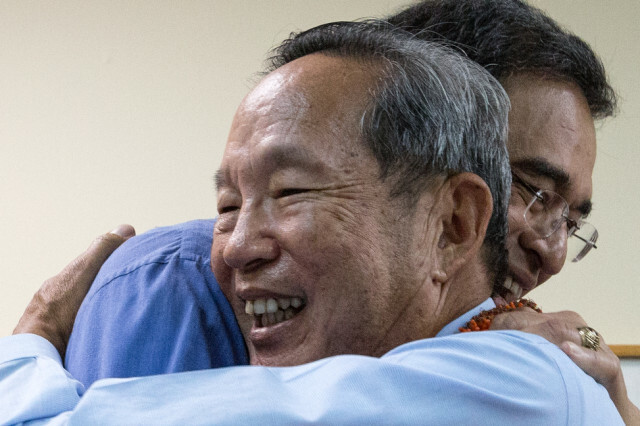 Gubernatorial candidate Mufi Hannemann and his running mate Les Chang hug after filing papers at the Office of Elections in Pearl City. Abercrombie demolished Hannemann in 2010 when he left the mayor’s office early to seek higher office. And just two years ago, then-City Councilwoman Tulsi Gabbard beat Hannemann in a landslide to take a seat in the U.S. House of Representatives. Many believed that after these two defeats, Hannemann’s political career might be over, at least for a while. But it’s now clear that the pull of higher office is still too strong for Hannemann to pass up.